For many women, dealing with noticeably ageing skin, especially around the neck area, can be a daily challenge that can lead to self-esteem issues and lack of confidence. 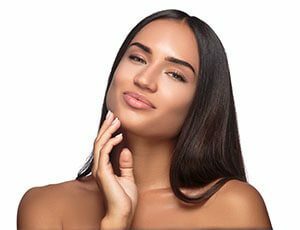 For this very reason, neck lift surgery for women has become one of the most sought-after cosmetic surgery procedures here in the UK, and at The Wentworth Clinic. With over 20 years’ experience assisting women with successful neck lift procedures, our cosmetic surgeon, Dr Ilankovan, will remove loose and sagging neck skin, effectively tightening the skin of the neck and jawline to provide a more youthful, wrinkle-free appearance. Frequently our patients will combine a neck lift with a facelift, or chin implant surgery to be assured of the results they desire. A combined treatment package can be discussed with your surgeon during your one-on-one consultation, and any concerns can be addressed at this time too. You will be advised of anaesthesia options (90% of our procedures are performed under local anaesthetic with oral sedation), and we will provide you with pre and post-treatment instructions. If you would like to find out more about our neck lift surgery, please contact the Wentworth Clinic on 01202 428773, or complete our online contact form and our receptionist will respond to you shortly. Professor Ilankovan, our neck lift surgeon, performs neck surgery in London at our Devonshire Street clinic, or in Bournemouth at our Southbourne clinic. Book your consultation today. A small incision is made just below the chin, and 2 similar incisions behind the ears (the latter can be combined with a mid-face lift incision). The platysma muscle is separated from the skin, and the free muscles are then sutured in a corset type technique in the mid-line. The sutures may need to be hitched to the body of the hyoid bone (wishbone). Placement of 2 suspension sutures from the midline. The sutures are tunnelled to the postauricular area and anchored to the deep structure of mastoid bone. Note that fat is rarely removed but some excess skin may be removed under the chin and behind the ears. External bruises and swelling usually will subside in 2 to 3 weeks. If you have persistent bruising, makeup will cover this until it subsides. Occasionally numbness has been reported to be permanent, but this is rare. Marked swelling or obviously more swelling on one side than the other. Neck lift surgery at Wentworth Clinic starts at £4000. This procedure can be performed at either our London Harley Street Clinic, or our Bournemouth Clinic. Contact the Wentworth team today to arrange a private consultation or find out more about the procedure.